ChessCafe.com is pleased to announce our second annual puzzle composing competition. 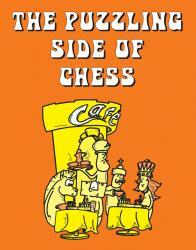 The contest is being held as part of The Puzzling Side of Chess, the popular column by Canadian master Jeff Coakley. Make up your own puzzles, send them in, and win prizes. Sounds like fun.